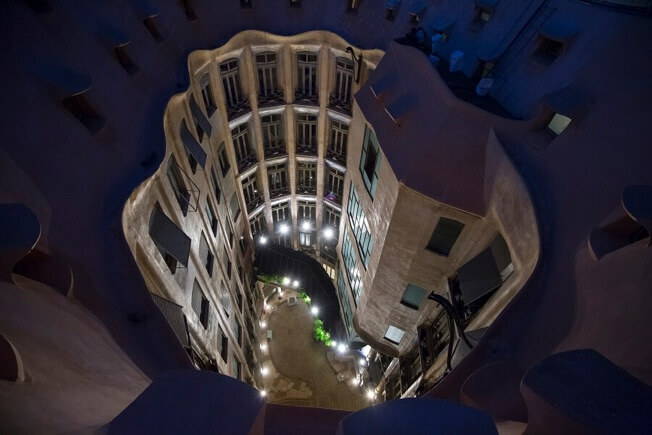 This admission gives you the opportunity to take a nocturnal guided tour of the various spaces of Casa Mila (La Pedrera) in a small group, ending with a spectacular experience on the Roof-terrace. 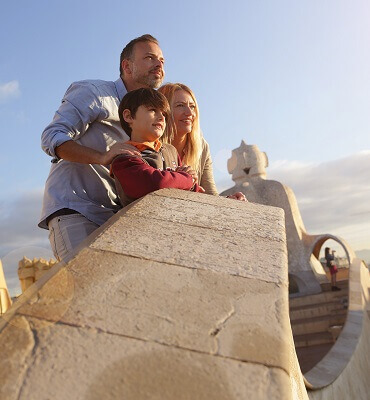 You will discover that La Pedrera is a masterpiece of nature, the very essence of Gaudi’s work. 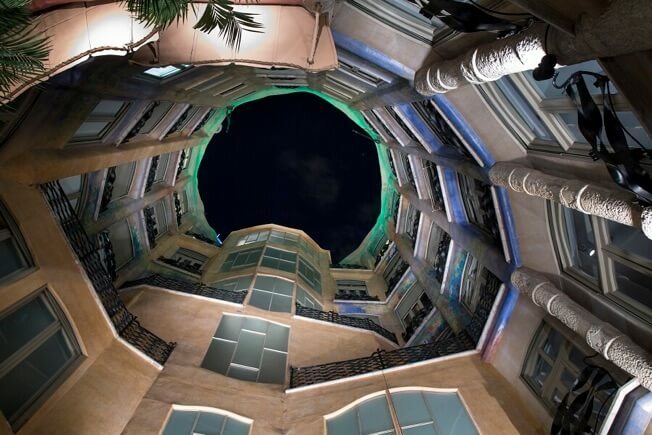 In the company of a guide, you will visit the Passeig de Gràcia and Carrer de Provença courtyards, the Espai Gaudi (in the attic) and the Roof-terrace. 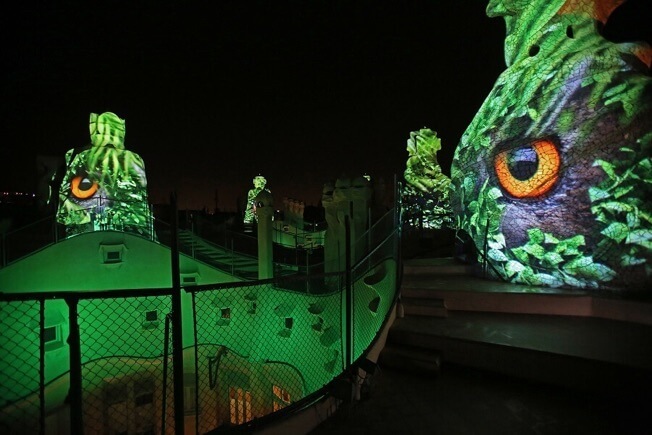 Over the course of the tour, you will be able to watch a number of audio-visual presentations, culminating in the video mapping of the Roof-terrace of Gaudí’s building, which makes the most of the remarkable architecture of this space to take you on a journey back to the origins of life. This unique visual show features multiple projections on the stairwells, special lighting and an accompanying soundtrack. And to bring the evening to a close, a glass of cava and sweetmeats in the Carrer de Provença courtyard. 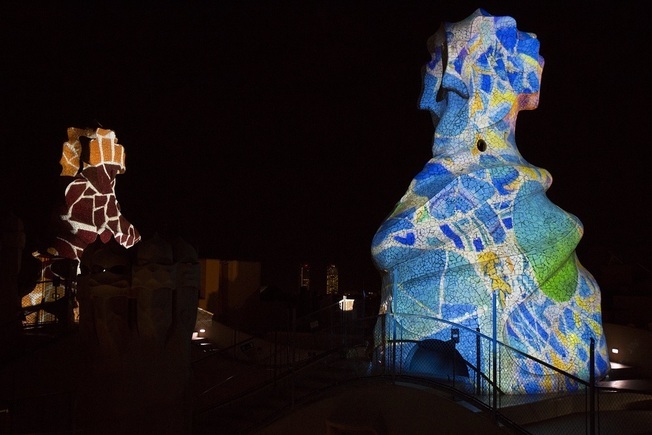 Enjoy this totally unique and amazing immersive show at Casa Mila, one of the most iconic buildings in the city of Barcelona. Accessible visit with wheelchair, except for the final show at the Rooftop. 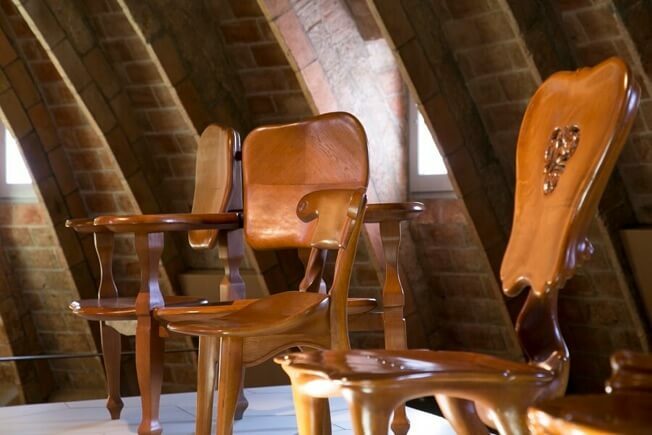 Casa Milà offers a package that combines the night-time tour Gaudi’s Pedrera: The Origins with supper in the building’s Café. 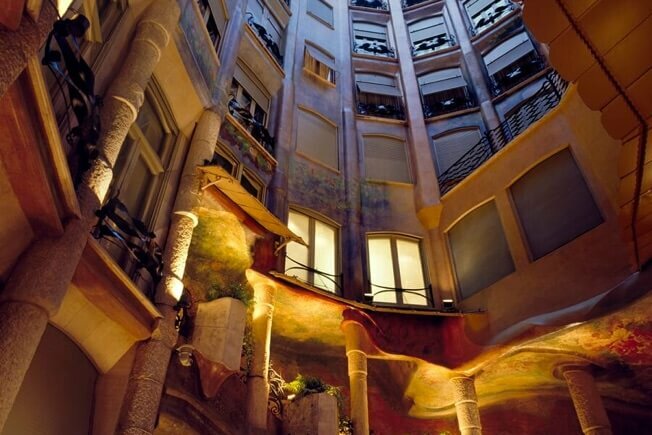 An evening at Casa Milà that offers culture and gourmet food, as well as an unforgettable experience. 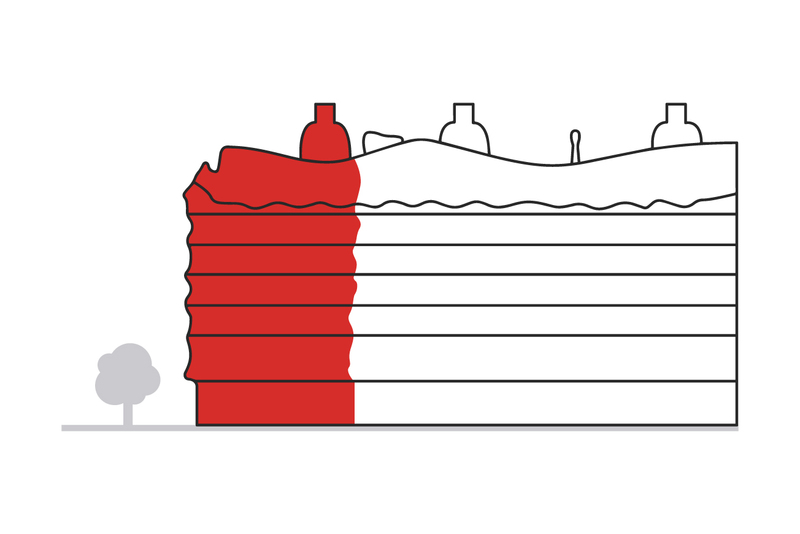 Enjoy your dinner at the Café before or after the tour. 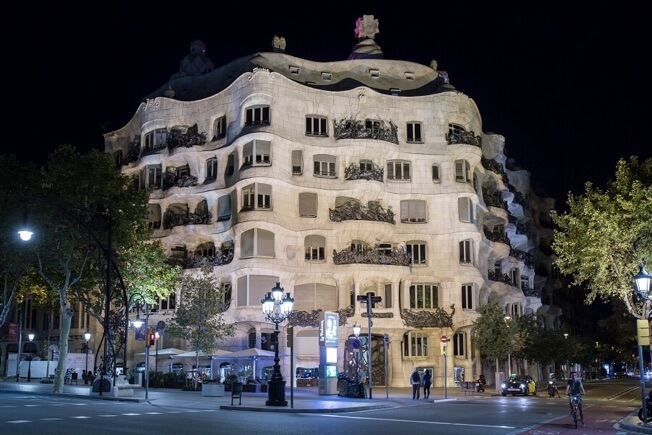 Don’t miss this unique opportunity to visit La Pedrera by night and to round off the evening with supper while enjoying views out onto Barcelona. 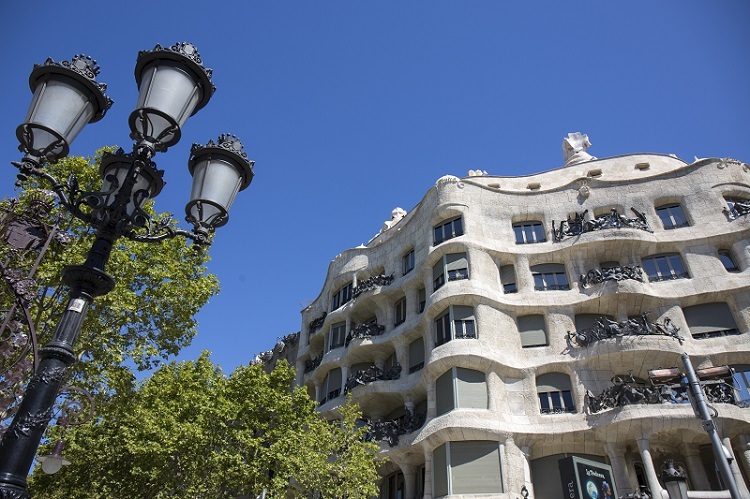 The frontage of Casa Mila is built of large blocks of limestone. These blocks up to the first floor above the Milas’ residence come from the Garraf and from the quarry in Vilafranca for the upper floors. 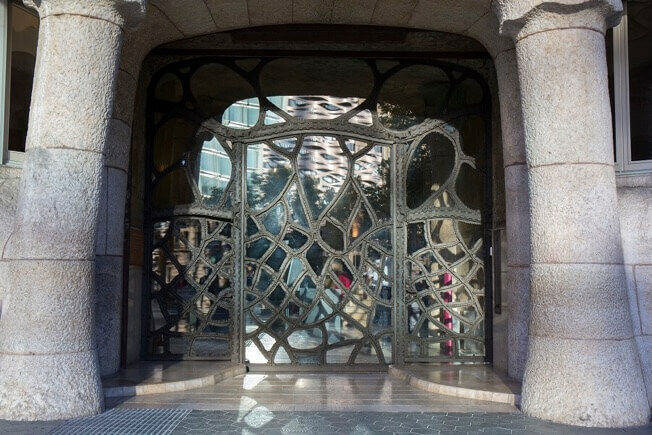 The façades of La Pedrera call to mind the movement of the sea, while the twisted iron of the railings is reminiscent of kelp. Gaudi believed that the balconies on the Carrer de Provença façade needed to jut out further to create areas of shade, thereby screening the apartments, as this side of the building is more exposed to the sun during the daytime. The entire floorplan is structured by the Passeig de Gràcia courtyard—the main courtyard—and the Carrer de Provença courtyard. Both are open to the sky and supply natural ventilation and lighting to the apartments in Casa Mila. They are a veritable display of forms, light and colours, with the colour provided by the murals that decorate them and which can also be found on the walls and ceilings. The most notable features of these paintings are the references to myths and legends, the floral motifs and the polychrome details. 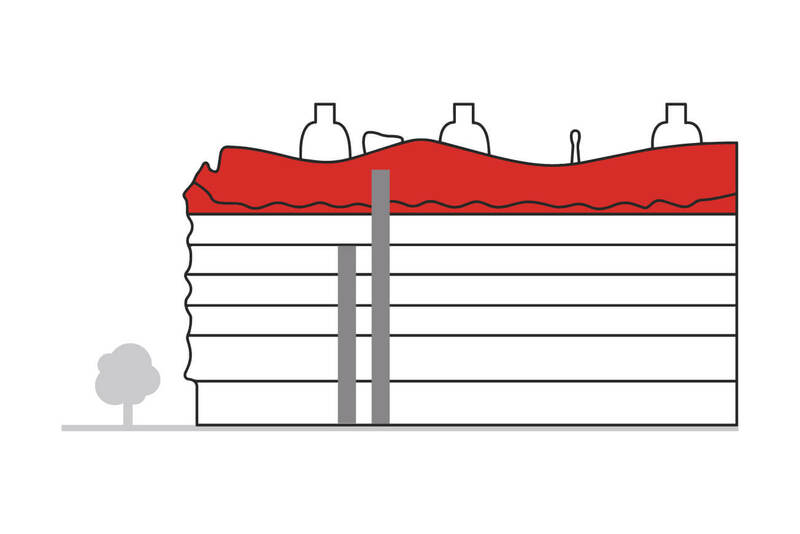 This space reveals how nature is the building’s source and inspiration. Situated in the attic of Casa Mila, the Espai Gaudi formerly held the laundry sinks, which explains the large number of small windows. 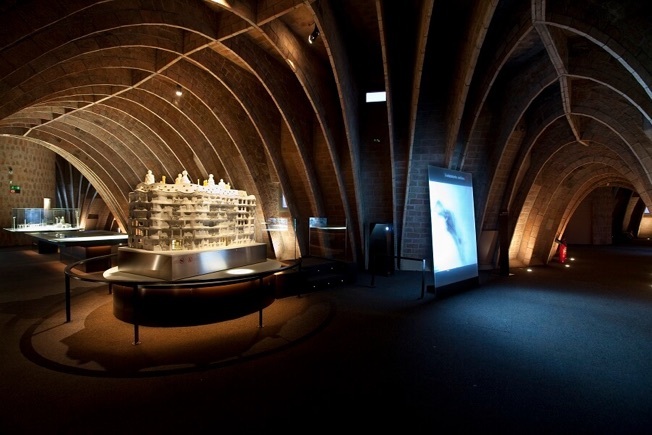 This space is home to the only exhibition focusing on the architect Gaudi and his entire oeuvre. 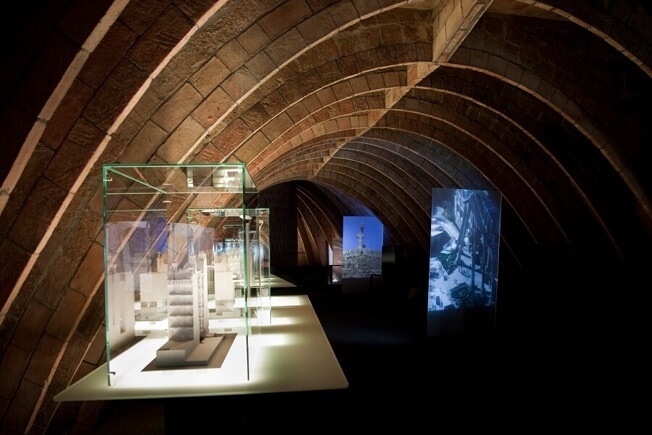 The display features models and plans, objects and designs, photographs and videos, and is divided into seven sections, one of which is given over to La Pedrera. 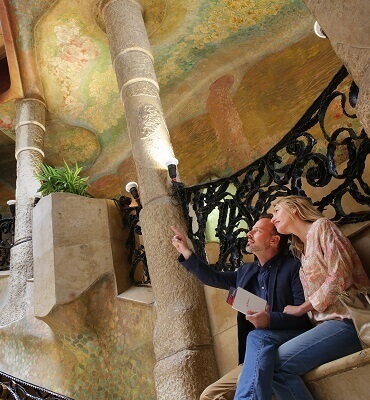 A tour of the Espai Gaudi provides an opportunity to understand and learn in depth about the inspiration the architect drew from nature and about the keys to his genius. With its 270 catenary arches made of thin brick, the Espai Gaudi calls to mind the innards of a vast living being. 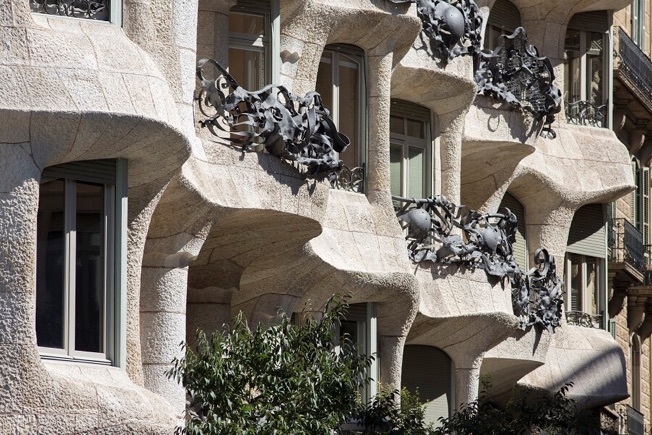 With the same undulating form as the façade, the Roof-terrace of Casa Mila is a unique space featuring a range of functional elements with tremendous artistic force. 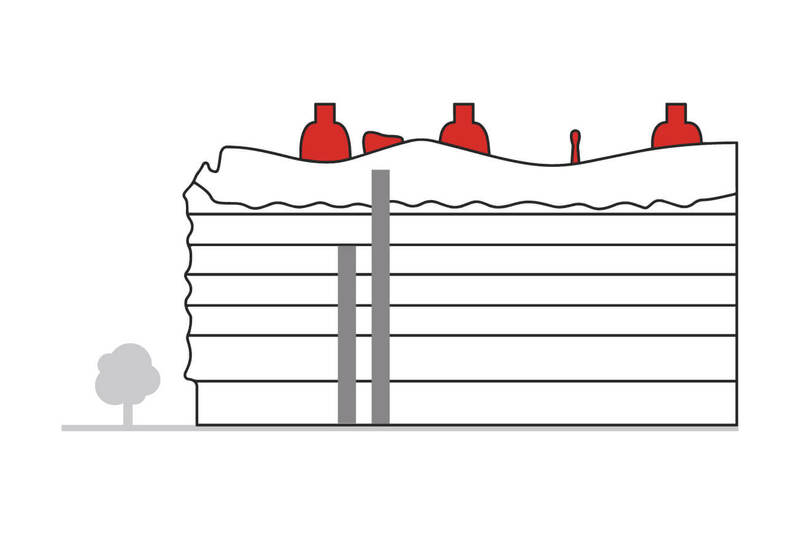 These are the stairwells, ventilation towers and chimneys, which resemble sculptural constructions and emerge like telluric forces of nature. 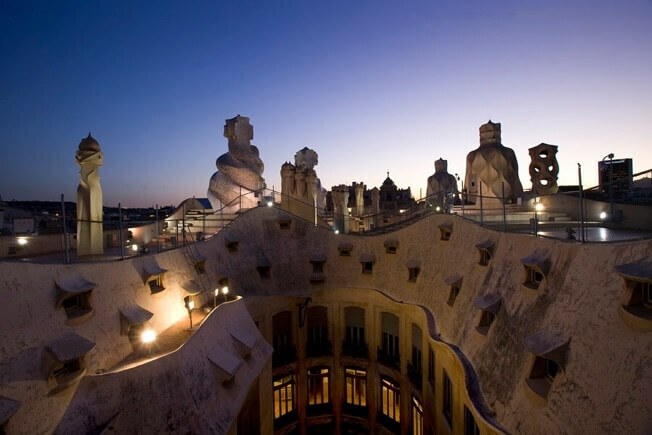 On the Roof-terrace of La Pedrera, Gaudi combined art and architecture to create an unparalleled, fascinating and evocative space. 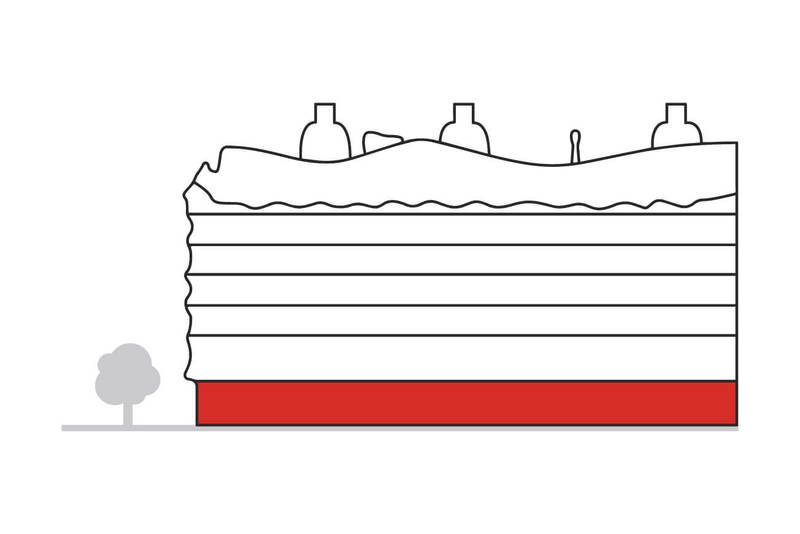 The Roof-terrace offers spectacular views out over the city of Barcelona at night.